Bottle stopper bundle - includes 1x bottle stopper kit, 1x bottle stopper mandrel (BSMAND-38-16), 1x threaded bottle stopper insert. 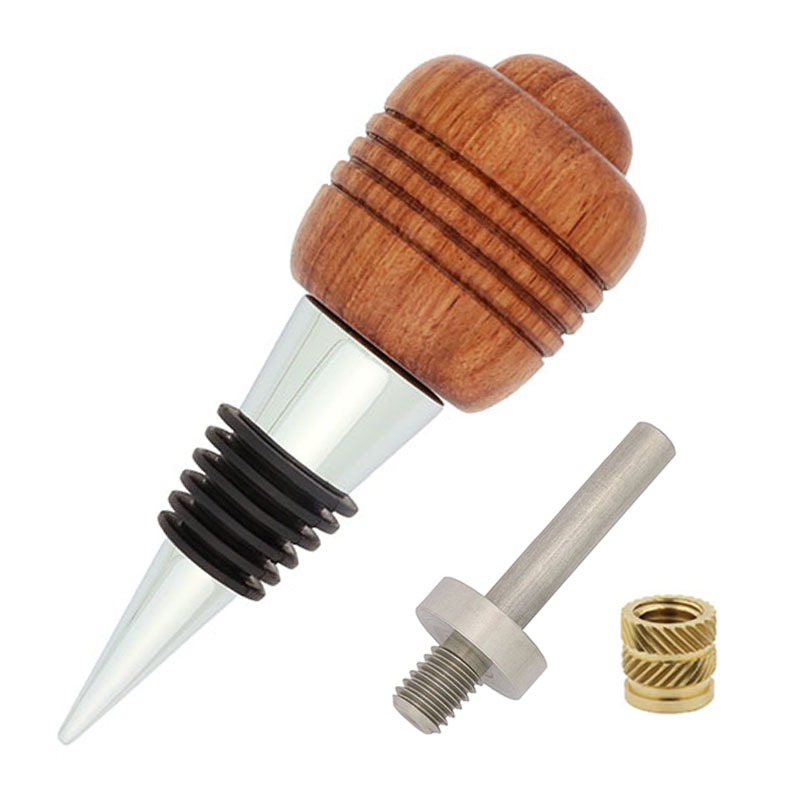 Chrome-plated bottle stopper kit, cone shape 2 3/4" long with 3/8"-16tpi threaded stud. Requires mandrel BSMAND-38-16. Please note: you will require a Jacobs chuck or drill chuck for your lathe in order to make this kit. To use the bottle stopper insert: simply drill a hole 13.2 mm / .52" deep into your blank using a 33/64 drill and glue the insert in. You're ready to mount your project onto bottle stopper mandrel. Makes it easy to thread bottle stopper top on and off. In place of the insert, you can also use the bottlestopper drill and tap set to make and thread the hole.